I’m not a huge fan of round-up articles and listicles. Yep, I said it. They end up being the first 5 items that show up on a Google search, but not this one. I own and operate a tour operator in Rome and have lived there for over a decade. I’ve seen Rome change and evolve over the years and loved every minute of it. I’m passionate about the city of Rome and I want you to be as well. That’s why The Roman Guy offers a variety of Rome guided tours and day trips. 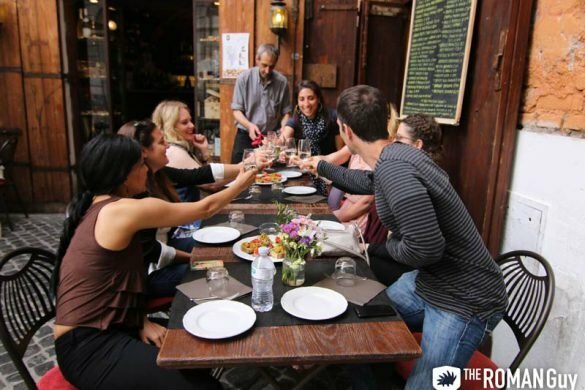 We offer lots of Rome tours, including a local food tour in Trastavere. 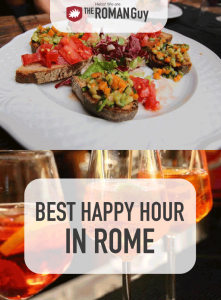 Come experience The Eternal City’s amazing aperitivos and apericenas with The Roman Guy! I know Rome better than any travel blogger who’s spent a few odd weekends there. I know it better than most Romans because knowing it best is how I earn my living. 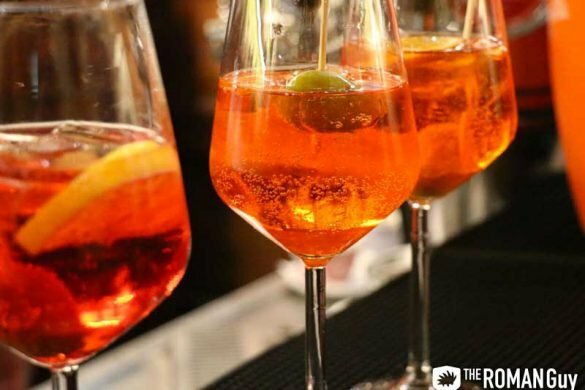 Today, I am going to break down the best places to get a pre-dinner aperitivo. That Italians & Romans drink more than just wine. That “Made in Italy” also includes cocktails. With all that out of the way. I am going to split up my guide to aperitivo by High-Class, Panoramic, Cheap and Loved by Locals. Many of these locations have been around for a while and some are brand new. That is what makes our content better than your average blogger. We’re on location and part of the culture. I started with High-Class because it’s my favorite. I drink often, but never too much in one sitting. For this reason, I prefer a great drink in a great atmosphere and I love dressing nice. I could sleep in a suit. My high-class spots are concentrated in mostly one area for a reason. It’s the nicest area of Rome. Many places are new because nice places for a drink don’t stay nice forever. This is literally a few doors down from our office and I love it. In reality, it is a restaurant, but they have an amazing bar and welcome persons to sit down for an Aperitivo any time before 8 p.m. It is also a great spot to get dinner if you want something creative. Their bar is a symphony for your eyes and they claim to stock over 500 types of Amaro, from internationally-produced to local farm labels. Yes, this is an Asian fusion restaurant, but you don’t have to go there to eat. Simply said, they have an amazing bar that allows the high-class traveler to dress very nice and fit right in. 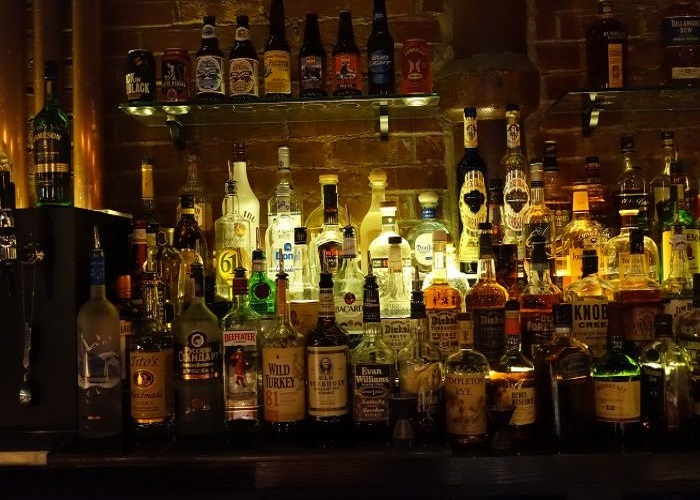 This is the oldest owned and operated bar on this list. It is referred to as an Italian “BookBar” and you’ll understand when you get inside. They change the wall art regularly and are situated in front of the Temple of Hadrian. You can sit inside in the winter and they have a few tables outside in the summer. They have great craft cocktails so ask the bartender what they recommend instead of ordering off-menu. I love this space. It has massive floor-to-ceiling windows that open up to the street, so it is perfect for a spring or fall cocktail. This is more a restaurant than an aperitivo bar, but they have an amazingly beautiful bar and they don’t fill up until later. It is located on Via Giulia, one of the two most classy lesser-visited streets in Rome. There is nothing not to love about this high-class bar in Rome. Go. Drink. Love. Giulia. Address: Lungo Tevere dei Tebaldi 4a | Phone: +39 06 9489 2076 | Hours: Monday-Sunday 5p.m.-11:30p.m. Panoramic comes next because again, why get a drink without a view when you can enjoy a drink with a view? You could take that further and say, why get a drink with a view of Rome when you could a drink 100 meters (300 feet) above Rome? This is something special. Not only are you on a rooftop in Rome, but you’re on a rooftop directly overlooking Piazza Navona! It doesn’t end there. You could literally reach out and touch the cupola and bell towers of Agnes in Agony, the Piazza’s featured church. You have to call ahead to get an RSVP and drinks are normally about 25€ so consider having your second one closer to Earth. The view is worth the money. This was once called “Terrazza San Pancrazio”, but with time all things change. Regardless, it is an amazing little rooftop overlooking Trastevere. They make very very good cocktails and you’ll find more items priced closer to 12€ here. They also serve food, so you can have dinner after, but don’t expect Italian. Sushi! Again an amazing experience, but different location. Expect slightly less per cocktail here, but again be prepared to dish out 15€ min per drink. You can probably find prosecco at a good deal as always in Italy. Located in the most northern part of the historical center between Piazza Navona and Piazza Del Popolo, this hotel rooftop offers swanky drinks in a very modern European atmosphere. It sits on top of Hotel Valadier which is one of my favorite hotels in the center in terms of value for fancy. You can probably tell that fancy is my thing, but I also like local. In Rome, cheap doesn’t have to be dirty. It just means being adventurous. There are tons of amazing parts of Rome that you can just grab a drink, sit on some steps and enjoy the view al fresco. There are cheap bars in Rome, but I am not going to recommend them. If you’re really going to enjoy Rome, you can’t cram into some bar with sugary drinks crowded with study abroad students. You can find those on some other website that sells its soul for traffic. I am going to pour some out for Rome’s local culture today. This spot combines local with cheap (inexpensive). 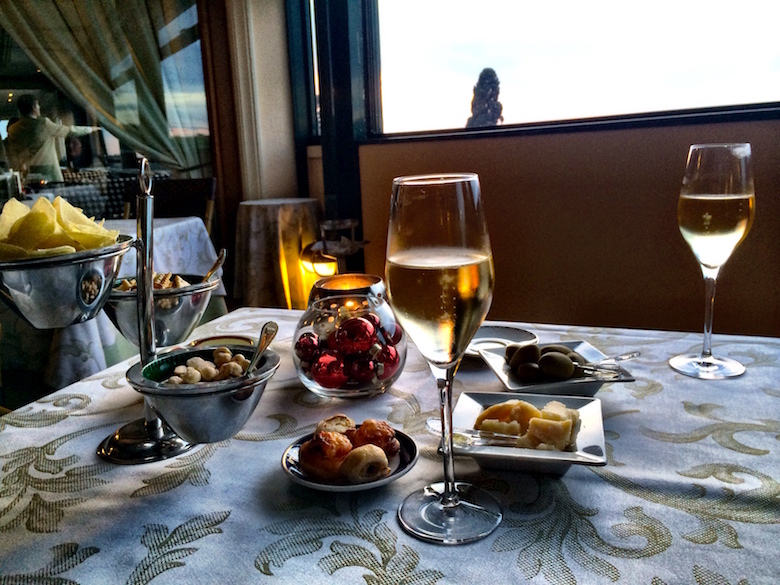 You literally can rock up to Piazza della Madonna dei Monti and have a beer or glass of wine. There is a little grocery store / beer shop that sells beer, wine and wine coolers. Grab a Menabrea, Italy’s best beer of the popular ones, bring some good conversation. This stop combines inexpensive with a panoramic view. If you’ve been to Rome you’ve seen the little food trucks all over town that sell water for 3€, well they also sell beer for 3€. Don’t quote me on prices as they can change per your accent, but you can haggle these guys down and the prices are a lot better than most of the other places I mentioned above. You get a great view and a few drinks for 2 with under 20€. Can’t beat that. This is a local favorite, great setting and bucket list item. If you haven’t drunk wine on the Spanish Steps you never have been to Rome in your teens or 20s. There is a pizza shop coming out of the metro that will not completely rip you off. Grab a bottle and a couple of plastic cups and catch a sunset overlooking Piazza di Spagna and its beautiful mess! These places rarely change. They are tried and true. I went to them 10 years ago and I would bet money that I’ll go to them in 10 years. I can rely on them and you know what, they can rely on me! This may be cheating on a pure aperitivo, but I am making the rules here. Ai Tre Scalini is in Monti and it’s amazing. They have classic cocktails and an amazing local list of wines by the glass. 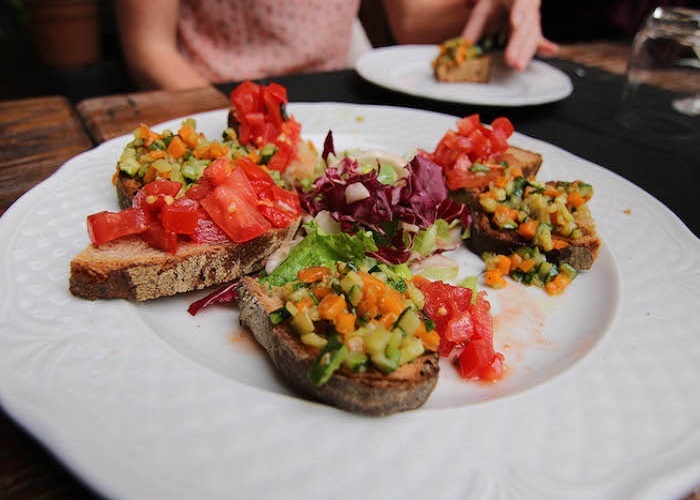 If and when you get hungry, you can convert your aperitivo to cena with some really great warm hearty dishes. I like it in the summer, but I love it in the winter. 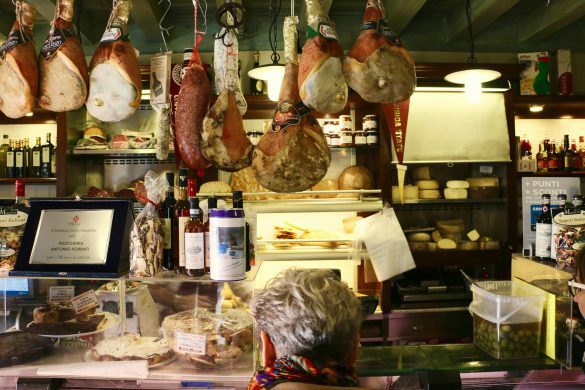 Located a few blocks from Piazza Navona, Bar del Fico is part of the Apericena (tapas-style appetizers) category. That means you can really fill up with the price of a cocktail; huge buffet. It’s in a cool piazza literally named piazza of cool… and it is. It’s best around sunset, but during the afternoon they have speed chess tournaments outside. This is a true locals spot and I hope my kids go there when they grow up. The name means “the breaks and the clutches”, and rumor has it that it was a garage before a bar. This is part of Rome’s Brazilian bar scene which doesn’t mean much more than a few Brazilian-inspired cocktails and a flag on the wall. I hate to put this one last because it is a really cool place to gather, look at great artwork and chat with friends. They define cocktail culture by taking FOREVER to make a drink, but for good measure. Excellent drinks and a full apericena to go with it. If you want our local Italy experts to create an Italy vacation itinerary for you based on your exact needs and wants, reach out to our Trip Planning Department. If you’re going to Rome and want us to take care of the entertainment, check out our tours in Rome, Florence, Venice and the Amalfi Coast. Visit our YouTube channel to watch our Italy videos before your trip.